Growing up, I was lucky enough to have a mother who had fallen in love with the mountains long before I was born and wasted no time in introducing me to the Sierra. 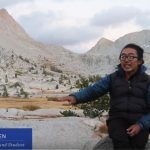 The first time my parents took me to Yosemite, I was a ripe 5 weeks old, and their preferred method of acclimating me to the mountain air was by taking turns strapping me to their backs and embarking on long hikes in the high country. It wasn’t long before the alpine had become my favorite playground, and summer was defined by numerous camping trips all over California. My mother’s stories of working in the park in the 80’s in her summers off from college were always thrilling to me, and I knew when I was young that I wanted to follow in her footsteps someday and work outside. 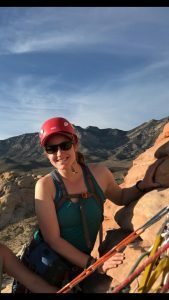 She has always inspired me and encouraged me to seek adventure and all kinds of outdoor opportunities, and I don’t think I would have pursued a career as an Outdoor Educator if it weren’t for her guidance. Even now, I look up to her and her adventuresome spirit and hope to continue exploring and cruising down trails well into old age. In addition to being a strong outdoorswoman, my mother is a voracious reader. Each year during Christmas, I eagerly wait to unwrap a story that she has chosen to pass along – with her approval, it is sure to deliver. This past year was no exception. Before I had finished examining the book jacket, she was telling me all about how she had heard about this woman, Annie Smith Peck, from a book review of Hannah Kimberley’s biography – “A Woman’s Place is at the Top”. Her curiosity was immediately piqued, and she knew mine would be, too. Who was this woman, who stood confidently atop a mountain peak, arm resting against an antiquated ice-ax? This biography is the first detailed and full-length account of this impressive scholar, educator, lecturer, and climber; yet it comes to life a full 82 years after Annie’s death. At the turn of the twentieth century, Annie was already paving the way for women of the era. She made a name for herself by confidently exploring territory traditionally inhabited by men – both in the halls of higher education, and high up on mountain peaks. The only daughter in the Peck family, Annie looked to her 3 high-achieving older brothers when it came to setting a path for her future. She aggressively sought higher education for herself, refusing to pay attention to the dissuasion of her family and the denials from universities who had not yet begun to accept women. Eventually, Peck found a place at the University of Michigan, where she graduated with honors in 1878 with a degree in Greek and Classical Studies; later earning her Master’s in Greek. 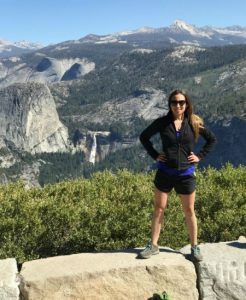 Shortly thereafter, she began discovering the healing power of the mountains and would escape there from time to time in an effort to improve her poor health. 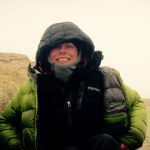 After teaching Latin and Classical Studies at several institutions in the East, Peck found her voice on the stage as a lecturer and made her living captivating audiences with tales of her mountaineering ascents, travels, and studies around the world. 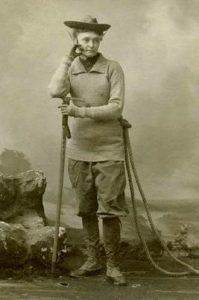 Peck’s major ascent of the Matterhorn in 1895 put her on the map as one of the first female mountaineers of the time. Unfortunately and quite predictably, her notoriety came more from the clothing she wore on the expedition rather than her accomplishment itself. Women of her time didn’t wear trousers to climb, much less climb at all. Despite the hurdles she faced, Peck continued to conquer, both by achieving higher and higher summits and by proving her adversaries wrong. Her first accent of Peru’s Mount Huascarán served to cement her place in the logbooks as the highest altitude reached by a woman in the Americas. Her accomplishments didn’t end in the mountains, and she continued to publish academic works and advocate for women’s suffrage and improved North-South America relations until the end of her life. I think the most impressive thing about Peck’s achievements, though, was that she pursued her goals aggressively despite the fact that she didn’t have many examples to look towards – she was a pioneer in the truest sense, and figured it out as she went. It’s hard for me to imagine myself where I am today were it not for the support from my mother and the way she raised me, taking me on long treks and teaching me life lessons along the way. I’m thankful to the women who opened up uncharted territory for the next generation of female explorers. I hope that from their successes and failures, I have learned how to pass on those lessons as an educator. The story of Peck’s life is the kind of story that we need – and that our students need, too. Sometimes the history books fail to recognize the most important trailblazers, educators, and adventurers of the ages – and thus our job becomes to fill in those gaps. 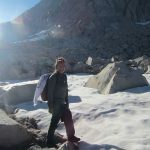 Marie Anderson came to Outward Bound California a year ago with a background in wilderness leadership. She is a graduate of Knox College in Neuroscience & Environmental Studies.